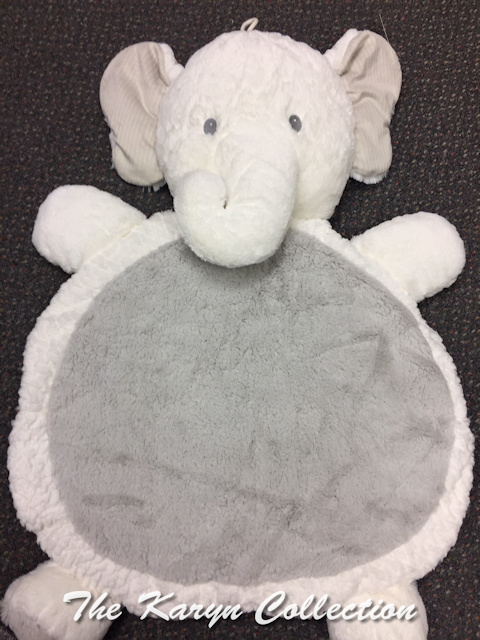 Our elephant activity blanket is perfect for tummy time, hanging out with siblings and watching what is going on around your new little one! He comes in 2 shades of gray and is great for either boy or girl. Ships gift wrapped....we try to keep in stock at all times. Also makes a WONDERFUL SHOWER PRESENT!! !